As the China’s industry develops, the prospect for the development of the rotary kiln is infinitely bright. We rarely mention the rotary kiln in our lives, and we would not deliberately get to know it, but the rotary kiln has a very long history in China. Our company is the leading manufacturer in China which has introduced mill technology earliest with decades of experience and technology. China is a country full of natural resources and it currently has a population of over 13 million. The huge population has caused tremendous pressure on the utilization of our resources, especially with the economic development in recent years, China’s demand for a variety of resources is increasing, and the contradiction between big demand for resources and sustainable use of resources is more and more prominent. 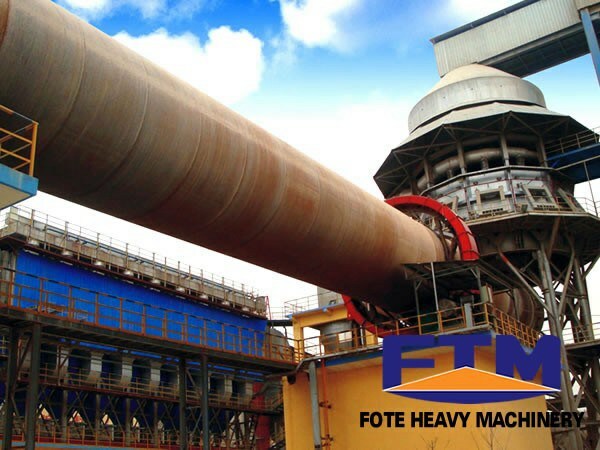 The Rotary kiln is only used for environmental protection in early China, and with the development of technology, the rotary kiln slowly starts to stand out in the limestone process, and has made a great contribution to cement industry, building materials industry, mining industry, environmental industry and many other fields. Nowadays, the production of rotary kiln manufacturers is numerous, which shows the significance of the rotary kiln. In addition, the application range of sand making machines is also very wide like the rotary kiln, and they are commonly used in construction sites such as sand, sand production lines as well as the cement production line. The sand making machine is regarded as the core equipment of whole artificial sand production line and it can crush hard river pebbles, granite, limestone and other materials into gravel aggregate. Our machines can not only reduce cost, but also guarantee the smooth development of national economy.